Adam Gopnik has been writing for The New Yorker since 1986. During his tenure at the magazine, he has written fiction and humor pieces, book reviews, profiles, reporting pieces, and more than a hundred stories for The Talk of the Town and Comment. Gopnik became The New Yorker’s art critic in 1987. In 1990, he collaborated with Kirk Varnedoe, the former curator of painting and sculpture at the Museum of Modern Art, on the exhibition “High & Low: Modern Art and Popular Culture,” and co-wrote the book of the same name. In 1995, Gopnik moved to Paris and began writing the Paris Journal column for the magazine. An expanded collection of his essays from Paris, “Paris to the Moon,” appeared in 2000. While in Paris, he also wrote an adventure novel, “The King in the Window,” which was published in 2005. Gopnik has edited the anthology “Americans in Paris,” for the Library of America, and has written introductions to new editions of the works of Maupassant, Balzac, Proust, and Alain-Fournier. His most recent book, “Through the Children’s Gate: A Home in New York,” (2006), collects and expands his essays about life in New York and about raising two children here. It includes the essays “Bumping Into Mr. Ravioli,” about his daughter’s imaginary friend, and “Last of the Metrozoids,” about the life of Kirk Varnedoe and the year before his death, in 2003. Gopnik has won the National Magazine Award for Essays and for Criticism three times, and also the George Polk Award for Magazine Reporting. He lives in New York. 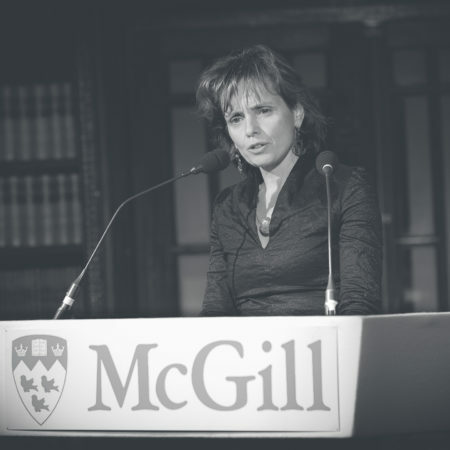 Catherine Desbarats is professor of Canadian colonial history at McGill University and the director of the French Atlantic History Group. She holds a doctorate in Economics (D. Phil) from Oxford University and a Ph.D. in History from McGill University. Her research and writing centres on two principal areas: historiography and the finances of the colonial and pre-industrial French state. Currently, she is working on a study of the Jesuit Pierre-François-Xavier de Charlevoix’s writings on the history of the new world, as well as on a study of the economic culture of state debt in the French colonial empire of the eighteenth century. Charles R. Kesler is a senior fellow of the Claremont Institute, editor of the Claremont Review of Books, and professor of government at Claremont McKenna College. Dr. Kesler also teaches in the Claremont Institute’s Publius Fellows Program and Lincoln Fellows Program. He received his A.B. in Social Studies (1978) and his A.M. and Ph.D. in Government (1985) from Harvard University. From 1989 to 2008, Dr. Kesler was director of CMC’s Henry Salvatori Center for the Study of Individual Freedom in the Modern World. Dr. Kesler is editor of Saving the Revolution: The Federalist Papers and the American Founding (Free Press, 1987), and co-editor, with William F. Buckley, Jr., of Keeping the Tablets: Modern American Conservative Thought (HarperCollins, 1988). He has written extensively on American constitutionalism and political thought, and his edition of The Federalist Papers (Signet Classics, 2003) is the best-selling edition in the country. Dr. Kesler contributes regularly to the opinion pages of The Wall Street Journal and the Los Angeles Times. His articles on contemporary politics have also appeared in The Washington Times, Policy Review, National Review, and The Weekly Standard, among other journals. Kenneth Whyte has been editor-in-chief and publisher of Maclean’s magazine since February 2005, the first person in the 100-year history of the publication to hold both titles. After his first year on the job, Maclean’s was named magazine of the year at the Canadian Magazine Awards, and audited newsstand sales have jumped more than 50%. He was appointed Vice President, Consumer Publishing and Publisher of Canadian Business, MoneySense and Profit magazines in June 2009. He was also named Executive Publisher of Chatelaine Magazine. Mr. Whyte has been a practising journalist and commentator on Canadian and international affairs for twenty years. In 1993 Mr. Whyte was appointed editor-in-chief of Saturday Night. Under his leadership, Saturday Night was named magazine of the year by the Canadian Society of Magazine Editors. In 1998, Mr. Whyte was named founding editor of The National Post. In 2003, Mr. Whyte was a visiting scholar in media and public policy at McGill University and co-founder of the Observatory in Media and Public Policy at the McGill Institute for the Study of Canada. He is a senior fellow at Massey College, University Toronto, a governor of the Donner Canada Foundation, and a director of the Peter Munk Public Policy Foundation. His first book, The Uncrowned King: The Sensational Rise of William Randolph Hearst, was published by Random House Canada in 2008. 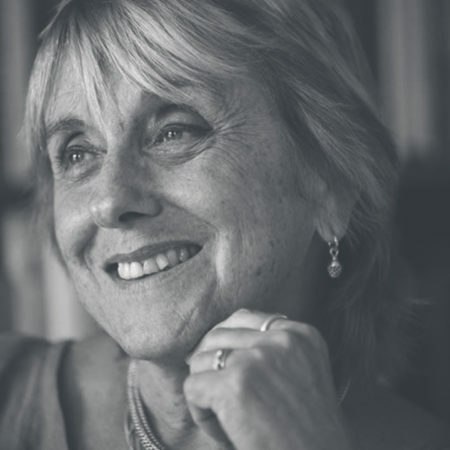 Lisa Jardine CBE is Director of the Centre for Editing Lives and Letters and Centenary Professor of Renaissance Studies at Queen Mary, University of London. She is a Fellow of the Royal Historical Society and an Honorary Fellow of King’s College, Cambridge and Jesus College, Cambridge. She holds honorary doctorates from the University of St Andrews, Sheffield Hallam University and the Open University. She is a Trustee of the V&A Museum and was for five years a member of the Council of the Royal Institution. She is Patron of the National Council on Archives. For the academic year 2007-8 she was seconded to the Royal Society as Advisor to its Collections. In 2008 she became Chair of the Human Fertilisation and Embryology Authority, the arms-length body that regulates assisted reproduction in the UK. She was the 2009 winner of the Cundill Prize. It is with sadness that we share the news that Prof. Lisa Jardine has passed away.